1. 20 minutes on the cross trainer and a couple of squats will definitely excuse the 5 glasses of wine and family size dairy milk you had over the weekend. 2. There is no better excuse to shop. Lulu Lemon, Sweaty Betty, Nike. 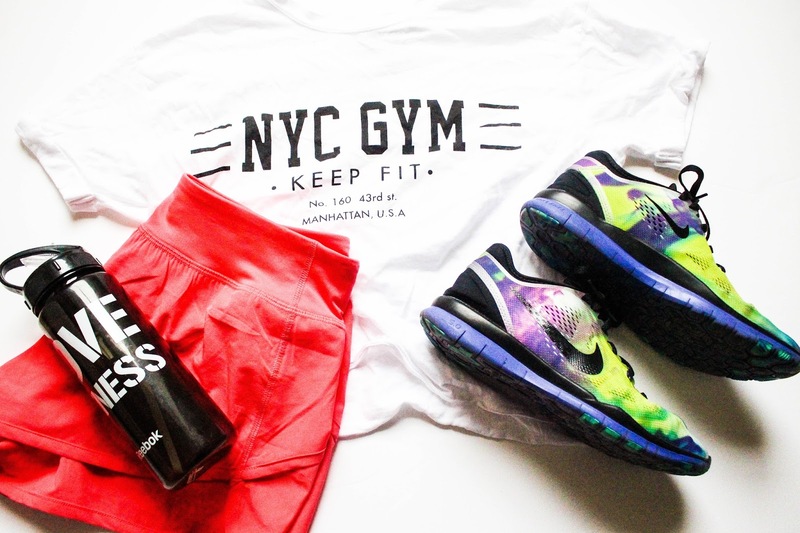 The gorgeous work out clothes at our fingertips are reason enough to work out. 3. Work stress levels hitting 90 no better way to release that tension than smacking the punching bag for 15 minutes. 4. Festival Season + Levi shorts = 1000 squats at least. 5. The new personal trainer is a solid 10 and he doesn't need to know you aren't actually a 5 time a week, lycra clad-gym bunny. 6. You signed up for that fun run with work 6 months ago and you have that one co worker who likes to beat you in everything. Not this time Laura! 7. You don't constantly need to go to actual gym. There are so many fun classes you can try Booty Barre, Zumba, Clubbercise, Anti-Gravity Yoga. 8. It will make you feel good. Exercise naturally releases endorphines and after a few weeks at the gym you will look in the mirror and feel better about yourself too. 9. It is the perfect excuse to wear comfy workout clothes all day with no shame. Leggings, sports bra, and trainers no judgement I'm going to gym later! 10. And of course to be a healthier and happier individual! Haha I have a gym membership but I am such a slacker so I need to motivate myself constantly!